The green/white/checkered qualifying for the opening round also meant that history would be made, as it would be the first Super Series pole position on the new Classico CCW layout, an honor that will be echoed with every first race on each layout. 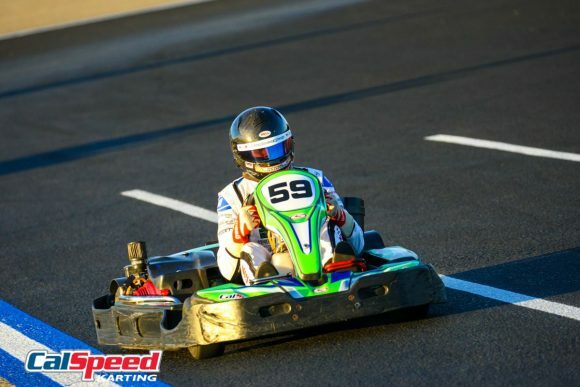 Unsurprisingly, the drivers dominating the top of the charts were those that had been on the course prior, with Adam Nagao bringing home the first pole position of the year. 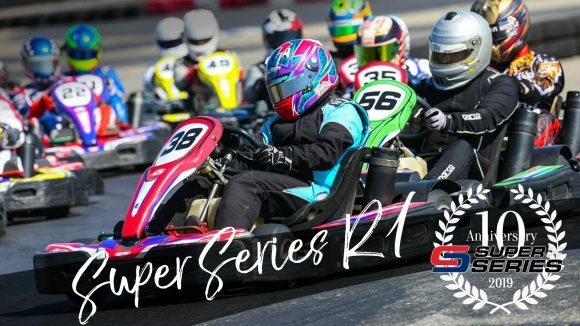 Scoring the second fastest lap was reigning Super Series champ Alyssa Yauney, while former Masters champ Jose da Silva scored the final bonus point for his third-quick time. As we saw over the course of last season, the 10 driver invert for the second set of heat races makes things not only very interesting but also makes earning a pair of heat wins quite the achievement. For round #1, no driver would be able to score the heat race sweep, with six different drivers earning a heat race victory, including Adam Nagao, Jon Kimbrell, Charles Eichlin, Alyssa Yauney, Bill Kreig, and Matt Hart. 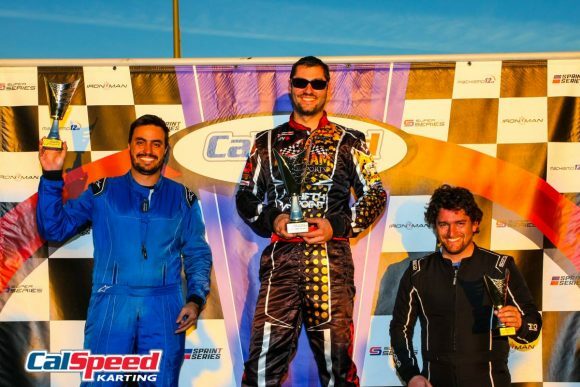 Once the results were tallied, it would be Kimbrell scoring the pole position for the A-Main, pairing a third place with his heat win, while Paulo Franca would line up alongside with the second-best point total via a 2nd and 3rd place finish in his heats. The first main of the day would of course be the C-Main, and like we see many times in the preliminary Mains, when a driver has a rough set of heats that usually fairs a bit better, it can be a blowout. That was the case with 206 hot shoe Sean Bradley, who found himself in the C-Main after a tough day, and subsequently walked away with the victory. His 15+ second victory was helped out considerably by the infighting that took place behind him however, as the battle that raged on from 3rd on back was intense. Still it was Bradley out front, and unchallenged for the C-Main win and transfer into the B-Main. 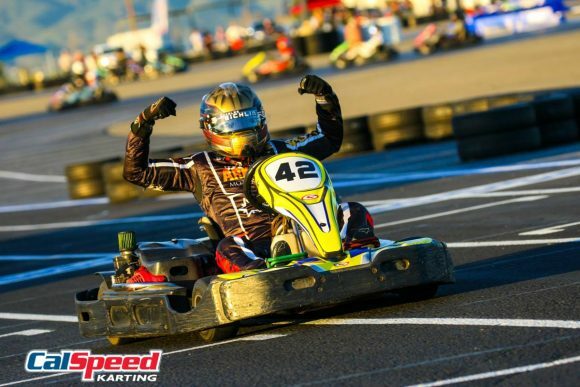 Unlike the previous Main, the B-Main was an awesome fight for the top spot, with Alexander Bermudez leading the field away, but 2018 newcomer Ayrton Demoss staying right on him. Things would stay unchanged for the first half of the race, but once into the waning laps, the battle was on at the front. Demoss made his move for the front, and the duo would then trade the lead over the next couple of laps, before Bermudez got shuffled back as the rest of the pack pounced on the leaders. Driving forward the challenge was former A-Main winner Henry Morse, who had spent the better part of the main scything his way through the field, having started 18th after being light at the scales in his second heat. Arriving at the front with just a couple of laps to go, he would make the move for the lead stick, and bring home the B-Main win, and earn the final spot in the A-Main. 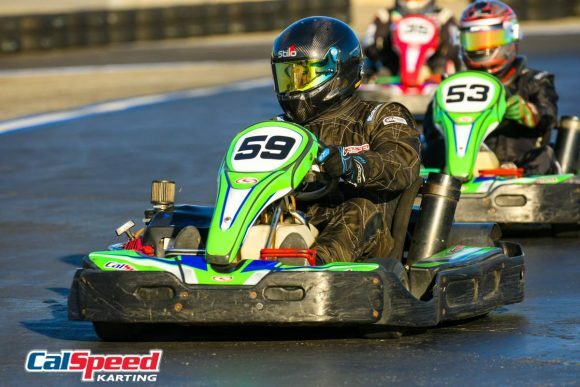 Jon Kimbrell would lead the field of 30 for the first A-Main of the 2019 season, and while Paulo Franca led the outside row, it would be Charles Eichlin slotting into the second spot by the end of lap one. Eichlin would waste no time moving to the front either, taking over the top spot after the second time around the course, with Kimbrell moving into the position of follower. With the top two seeming set for the moment, behind them the battle raged for the final podium spot, first with Franca in the spot, then Morales, before Franca took it back, all the while losing ground to the top two. But then things settled down long enough to start making inroads, at leas to the second spot. For his part, Eichlin was able to eek out a bit of a lead via consistent laps, dropping Kimbrell from his draft, and into the clutches of the chasing pack. Once there Kimbrell was gobbled up by his pursuers, with Franca actually ably to get away while the rest jostled for position. 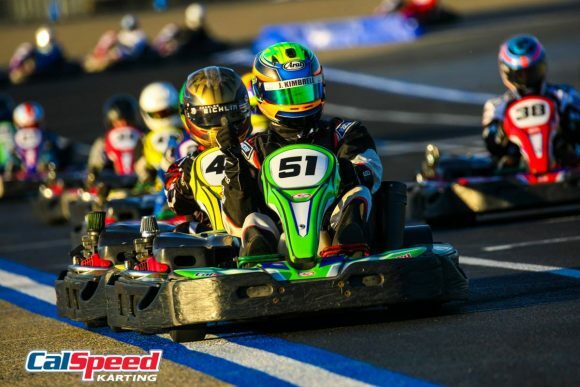 Out front, Eichlin would cruise on to his 4th career Super Series win -moving him up to a tie for 6th on the all-time list- while Franca would maintain his second spot to the end. Behind Franca was a battle royal however, this time with Sean Fite coming out on top for the final podium spot. 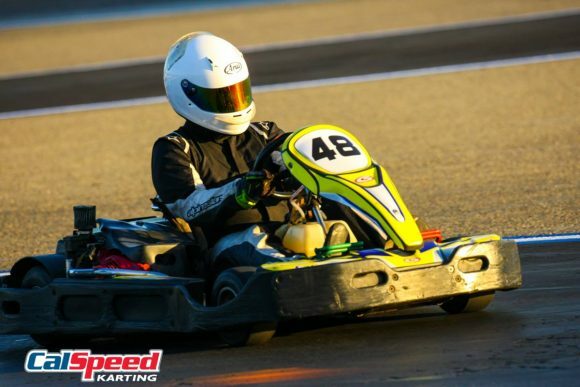 The CalSpeed Super Series returns February 16th, taking to the Grande CCW course for the only time this season, so don’t miss out on what is certainly a driver favorite course!